KIMAX funnel constructed with heavy uniform walls and molded rims and fire polished stems to give a long service life. The 58-degree funnel angle is a Kimble exclusive, formed to an exact angle for rapid filtration. 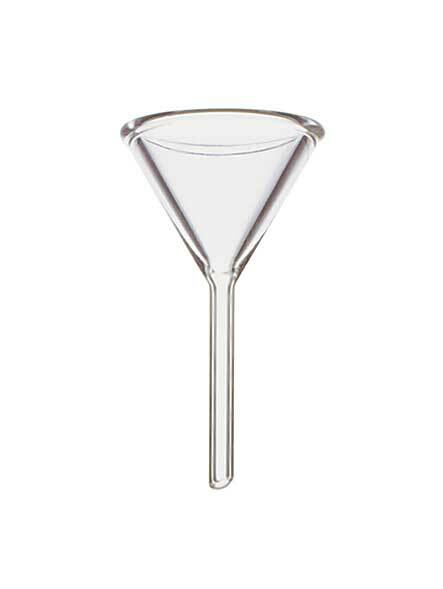 It is more effective than 60 ° angle funnels because the cone is suspended by its uppermost edge, leaving most of the conical area for filtration. Designed from ASTM specification E1095, Type 1, Class A requirements.